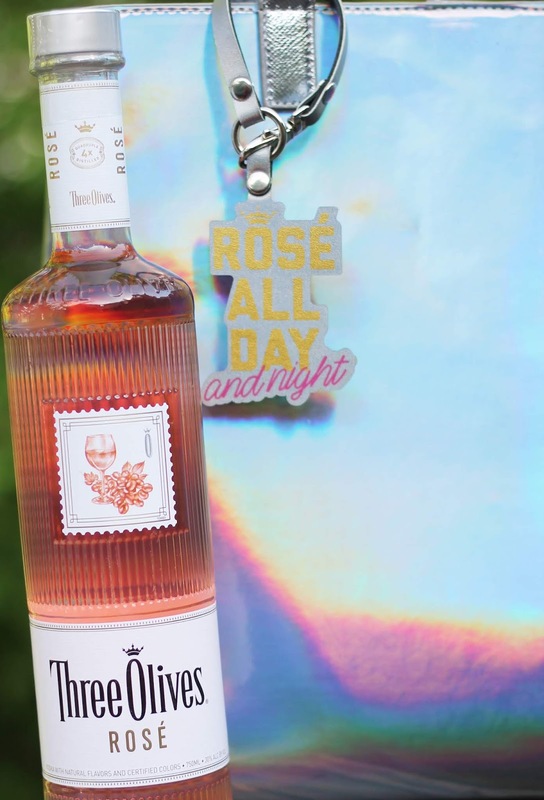 This post is sponsored by Three Olives Rosé Vodka but the content and opinions expressed here are my own. 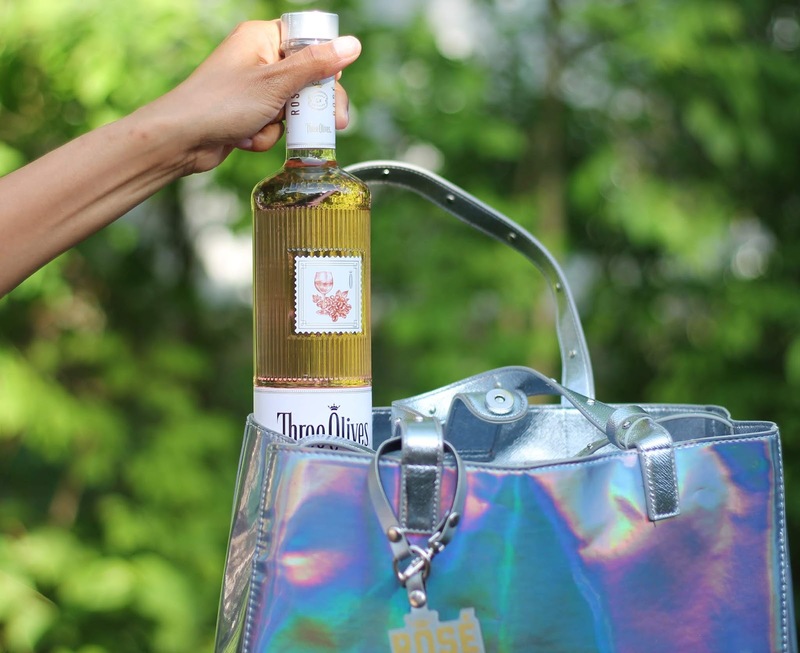 It's officially girls night in season and what better way to have your girlfriends over for some lite bites and Three Olives Rosé Vodka. What I love about a girls night it is that it's typically at one of my besties houses and it doesn't require much. Our girls night in is typical totally randomly followed by a bunch a group text messages. Today I'm sharing the best tips for hosting a pretty epic girls night in. Unless you love having girls night at your house. I suggest rotating the location of the girls night. Girls night in also doesn't have to be at someone's home. Everyone can pitch in to have it at a local hotel or a hotel that close by in another state. If it's more convenient to have it at your home and everyone is okay with it. The party is at your house! I like to keep our menu pretty consistent and potluck style. Prior to the festivities happening. Everyone agrees on what they're going to bring and a text is sent out confirming. I like to get all of the boring stuff out of the way. If everyone typically brings the same items, that's perfect. Just send a text and/or email confirming the details. I also like to create a signature cocktail of the night. 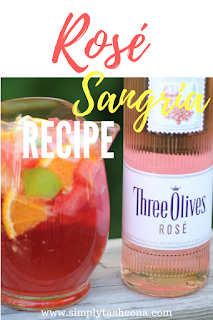 This is a wonderful opportunity to try my favorite summer cocktail Spritz and Giggles using Three Olives Rosé Vodka. I love creating themes for girls night. 80's, the 90s, a cocktail party where everyone dresses up?! The possibilities are really endless and defiantly change based on the time of year. We pretty much get all of the seasons in Connecticut. We like to do all of the fun outdoors stuff during the warmer months. Remember girls night end is making sure that everyone is having the best time. If for everyone's input. We even had a Netflix binge-watching girls night in. It was so much fun and didn't require much. With everyone being so busy nowadays. It's always really nice to meet up with girlfriends. Do you have any girls night in tips? Build in a glass over ice. Garnish with an orange wedge and raspberries. Combine equal parts of the sugar, and wine in a medium size cup, and set aside well. Mix well, and enjoy over ice and garnish with a slice of orange if desired. Girls Night In is always so much fun! I usually have all the girls over to my house, but I love the idea of rotating houses. We always have the best food and drinks. Haven't done a girls night in a long time and they are fun. Nice to have it at someone house, easy like you said. To have it at a hotel would be fun, one with a pool and hot tub. Life is quite busy these days but I'd love to try different ideas including this during girls night. Maybe I'm due for girls night soon. I think I need to be invited to one of your parties! You look like you have a blast with your friends! I love doing girls night because they're so much fun and you get to do things that you don't typically do with your family! I love girls nights in. We used to do it once a month but got busy. This stuff looks really good, I'd love to try it. Oh, I've been wanting to try this! I had heard about it online, but I hope it tastes just as good as everyone says. I love having girls nights! Adding a theme is a wonderful idea to keep it fun! This is the kind of drink I'd love. Yum. It's always fun to get together with friends. This sangria looks so good. Perfect recipe to enjoy with the girls on girls night. These are some good sounding drinks to help make for the perfect girls night in, I think we all need one of those from time to time. This sounds like the perfect drink for a girl's night for sure. I can think of so many ways to use it. I really love the idea of hosting parties that focus on a certain decade. It would be fun to try to find the right outfit for each decade. Sounds like the perfect girl's night refreshment. I love to my girls night at my house potluck. It's fun to see what people share. This makes me think I have no social life ha ha. I don't do night out or night in with ladies friends. Great minds, today! I also posted a rose recipe! I love the sangria recipe, can't wait to try it. As for a tip, a group of us have had a monthly Girls Night Out for 30 years! The one thing we have learned is to keep the number manageable, and, before adding anyone to the group, make sure that everyone is in agreement. There's nothing that I love more than a good girls night! I've never tried Three Olives but will definitely try it for my next GNO.